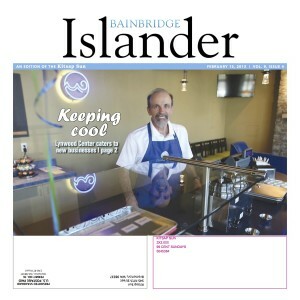 We’re revamping our Friday blog post to feature more Islander content. 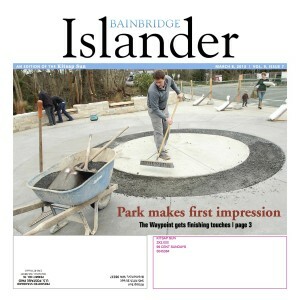 Here is the Bainbridge Islander preview for April 19. Shooting for the stars | The Bainbridge High School Rocket Team celebrates a successful first season. 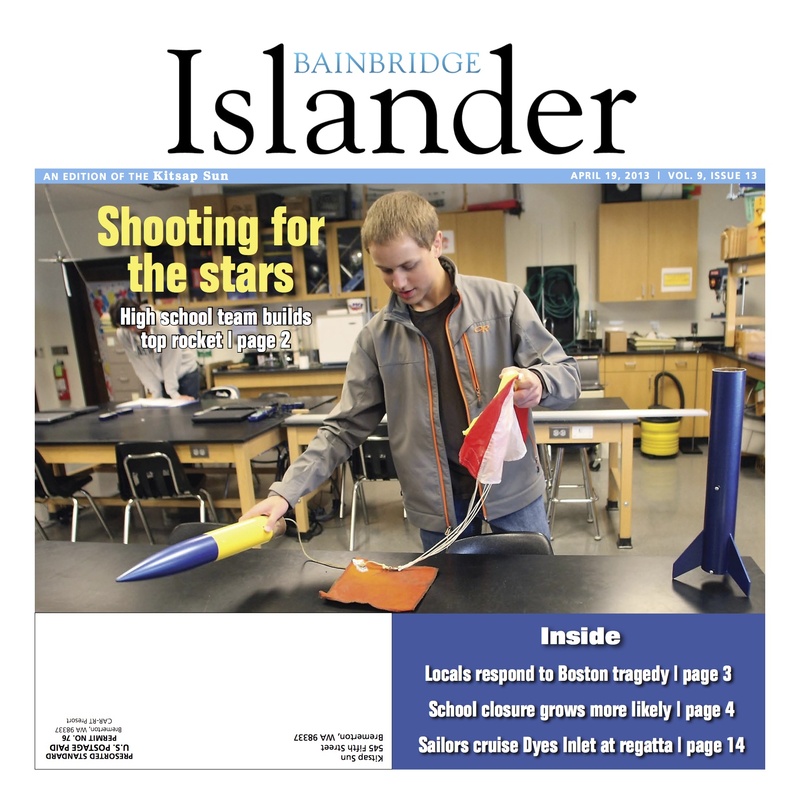 Locals respond to the Boston tragedy | Bainbridge Island runners witnessed the destruction of the Boston Marathon bombings first-hand. 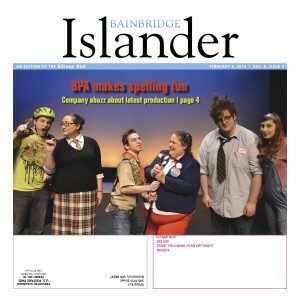 See an islander’s photos here. School closure grows more likely | Two of the three proposed options from the School Configuration Committee would result in closing a school. 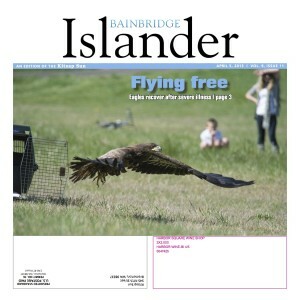 Sailors excel in Dyes Inlet | Photos from the Silverdale Regatta capture the excitement of sailing without the windburn. Coming Up: The park district prepares for an overhaul of its flagship baseball fields. 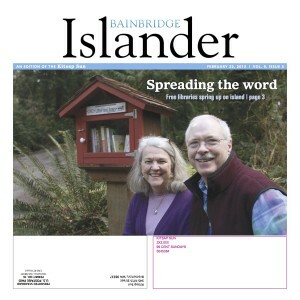 Find more Bainbridge news on the Bainbridge Islander page. 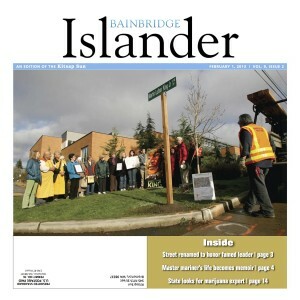 Here’s the Friday preview: Bainbridge edition for April 5. Feel free to give your own events a plug in the comment section below. 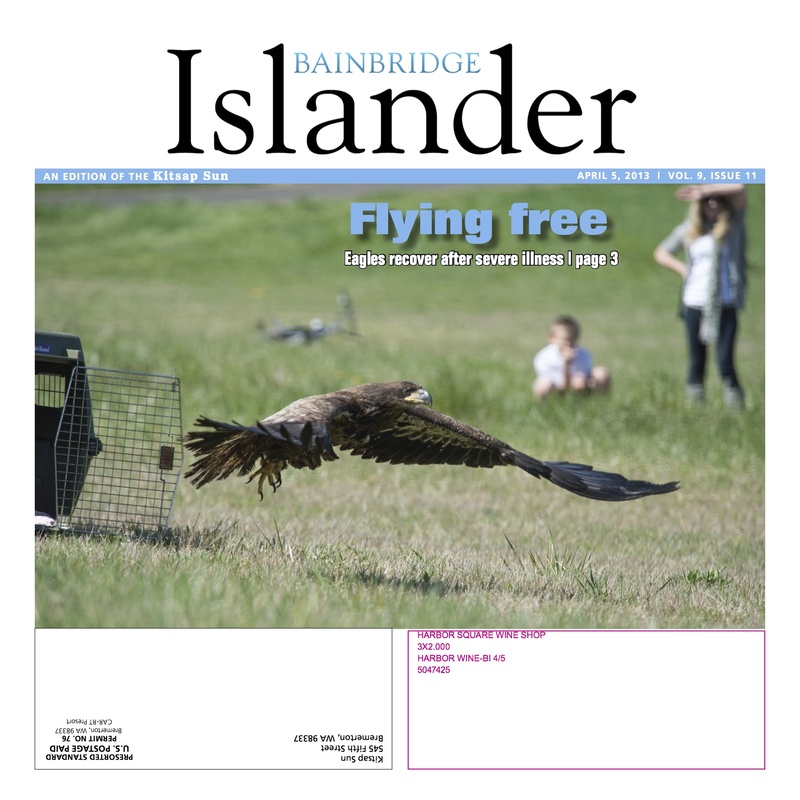 Above, one of these five men will be the next chief of Bainbridge police. From left, Richard Daniels, Harry Glidden, Richard Goerling, Matthew Hamner, and Bryce Johnson met with islanders Thursday. We expect to learn the city’s pick early next week. Weather: The National Weather Service expects our “unsettled” weather to continue through the weekend. Rain and gusty winds are likely, along with a chance of thunderstorms Saturday. Daytime temperatures will hover in the mid 50s. Sports: Baseball hosts Eastside Catholic at 4 p.m. today. The JV squad plays at 2 p.m. 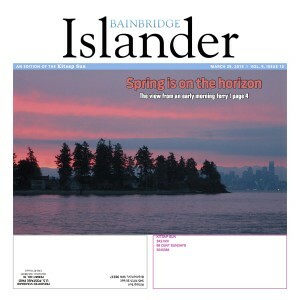 The sailing team will visit the San Juan Islands this weekend for the Island Cup. See a full Spartans schedule here and follow the Sun’s Prepzone on Facebook for updates. Weather: We don’t want to jinx it, but the National Weather Service is predicting a very pleasant weekend. Sunshine and highs in the 60s are expected today, Saturday and Sunday. Sports: It will be a quiet weekend for the Spartans. The boys soccer team defends its home turf at 6 p.m. tonight against Chief Sealth. And that’s about it. Weather: Our wild weather should mellow out today. We can expect some sunshine this weekend according to the National Weather Service, but cold temperatures will stick around. 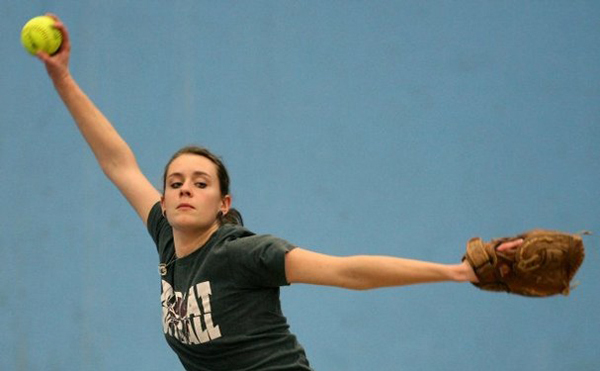 Sports: Softball plays Mount Si at home today at 3:30 p.m., led by reigning Metro League MVP Katie Raben. Water polo hosts Bellevue at 4 p.m. Baseball and softball both play at home Monday and Tuesday with games against Nathan Hale and Bishop Blanchett. Weather: We’re looking at showers today through the weekend, mostly in the afternoons, according to the National Weather Service. Daytime highs will hover in the low 50s. Sports: Girls water polo hosts Inglemoor at 4 p.m. today. Boys lacrosse plays at home against Skyline at 7:30 p.m. Baseball plays Saturday with an 11 a.m. home game against Bremerton. The rest of the Spartans squads play away this weekend. 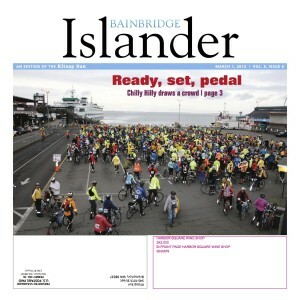 Here’s the Friday preview: Bainbridge edition for March 8. Feel free to give your own events a plug in the comment section below. Weather: We’ll catch a fleeting glimpse of spring today and Saturday, with sunshine and temperatures in the low 50s. The National Weather Service expects skies to cloud up Sunday and rain to return in earnest Monday. Sports: Spring is already here, at least as far as sports are concerned. Bainbridge boys lacrosse opens its season with a 5:30 p.m. JV game and 7:30 p.m. varsity game this evening at home against Bellevue. Track hosts the Pat Logan Relays at 11 a.m. Saturday. Boys and girls water polo teams take to the pool Monday with away games. Baseball, fastpitch, boys soccer, tennis all open their seasons next week. You can get updates on the crew team here, and sailing team here. Weather: The National Weather Service expects clouds and showers to continue through the weekend. Daytime highs will creep into the low 50s. Nighttime lows will dip close to freezing. Sports: The Spartans are in a lull between winter and spring sports seasons. Watch for spring previews soon. Weather: A strong weather front will move into the area Friday, the National Weather Service warns. The front is expected to produce heavy snow in the mountains, with rain and gusty winds in the lowlands. 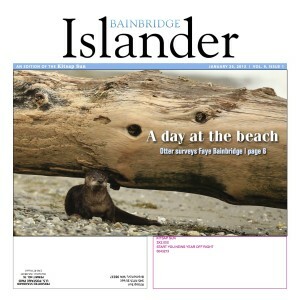 Conditions on Bainbridge should be milder, with gusts up to 30 mph and rain on Friday. Rain showers should continue through the weekend. Sports: The Spartans sent athletes to state championships last weekend in gymnastics, swimming and wrestling. Among the standouts at state was gymnast Sarah Rice, who medaled in the all-around for the second time in her career and took seventh on the vault. Swimmer Spencer Alpaugh placed fifth in the 200 individual medley with a time of 1:56.38. Weather: The National Weather service is predicting a damp holiday weekend. Expect showers and highs in the high 40s. Sports: Let the state meets begin. Qualifying gymnasts travel to the Tacoma Dome this evening for their state tournament while the state swimming prelims begin at the King County Aquatic Center. Six Bainbridge wrestlers, including two district champions, qualified for the Mat Classic, which also opens Friday in Tacoma. State tournament action continues Saturday. The Bainbridge boys and girls basketball teams were swept from the district tournament last weekend. 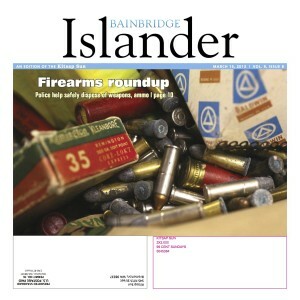 Here’s the Friday preview: Bainbridge edition for Feb. 8. Feel free to give your event a plug in the comment section below. 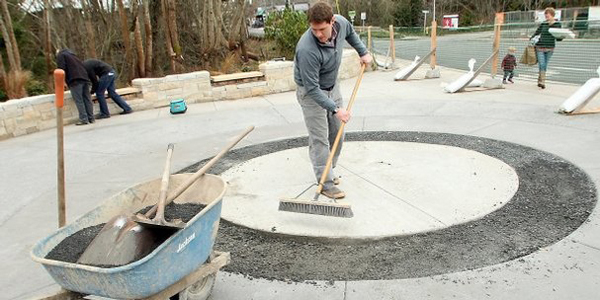 Above, The Waypoint gateway park is nearing completion. 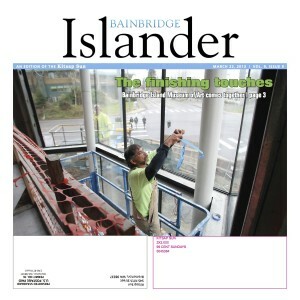 A grand opening is now scheduled for March 1. Weather: The National Weather Service expects dry weather to continue through the weekend, with morning fog giving way to partly sunny days. Sports: It’s districts tournament weekend for the Spartans. Boys and girls basketball teams clinched tournament slots this week with wins over Chief Sealth. Boys swimmers and divers travel to Mercer Island for their district tournament meet on Friday and Saturday, after finishing second in the league championships last weekend. League champion Bainbridge gymnasts head to Sammamish on Saturday. Bainbridge wrestling also claimed a league title last week and will compete in the district tournament Saturday. 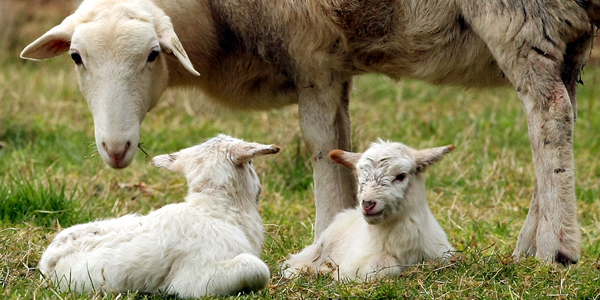 Weather: The National Weather Service is feeling optimistic about our weekend. Patchy fog and sun are expected today and Saturday, followed by a cloudy Sunday. Rain should return early next week. Sports: No home action for the Spartans today. Boys swimming competes in the Metro League championships in Seattle this afternoon and Saturday. Gymnastics rolls into the Metro championships at Roosevelt today. Wrestling has a conference meet at Nathan Hale today and Saturday. The boys and girls basketball teams are away at Lakeside this evening. Weather: Sunshine today is expected to give way to rain by tonight. Showers are likely to continue through the weekend and into next week with daytime highs in the low 40s. Sports: The swim team is in Queen Anne this afternoon. Gymnastics hosts North Kitsap and Kingston at 6 p.m. for a meeting of local rivals. Girls varsity basketball tips off at home against Rainier Beach at 6:15 p.m., followed by the boys at 8 p.m.